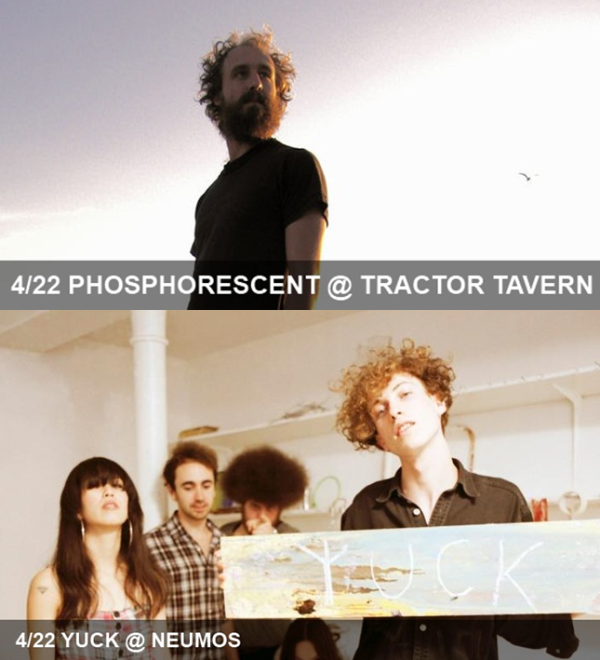 When you think of cities where fun indie pop bands have their roots, we’re sure Wasilla, AK, is not high on your list. Fortunately for the lower 48, the fellows that make up Portugal. The Man found poppy inspiration from the frosty frontier up north. Now based in the musical treasure trove of Portland, Portugal. The Man is putting the final touches on a new record, In The Mountain, in The Cloud, which is expected to hit shelves in July. 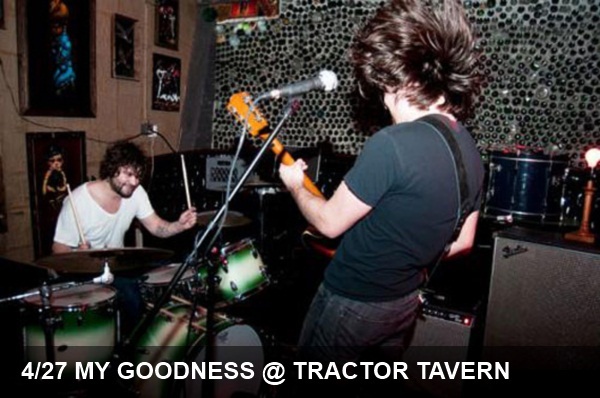 The quartet crafts danceable pop tunes that will keep you grooving through their whole set, and make sure you arrive early for the very talented Telekinesis and Brainstorm. 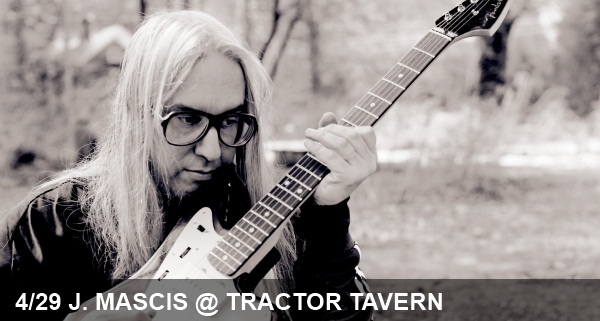 J. Mascis, best known as Dinosaur Jr. frontman, will be sharing his solo stylings tonight at Tractor Tavern. The silver-haired legend with his familiar, deep vocals and intricate guitarwork, just released his new solo album, Several Shades of Why. If his live performance is anything like his Sub Pop solo debut, you’ll get to see J. wielding an acoustic guitar rather than his trademark electric axe. Don’t miss this rare opportunity to see Mascis in an intimate setting. Though folk tendencies have been a part of the Seattle music scene since the days of frontier living, the pitch-perfect harmonies of the Fleet Foxes took our city’s interest in music traditionally heard outside of any city limits to new heights. 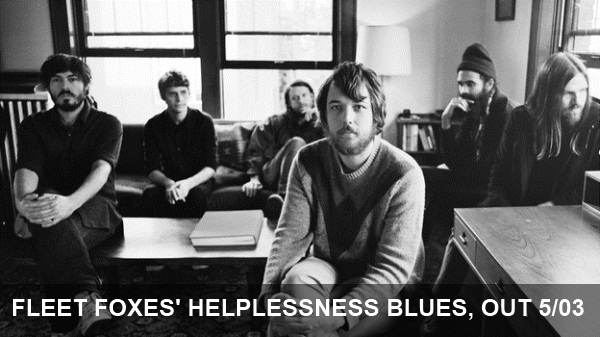 If you’re among the band’s many fans, you’ll be delighted to know you can stream their latest Helplessness Blues in full over at NPR. Before you make the jump, click below to stream the title track. You can add the album to your collection starting next Tuesday, 5/3. 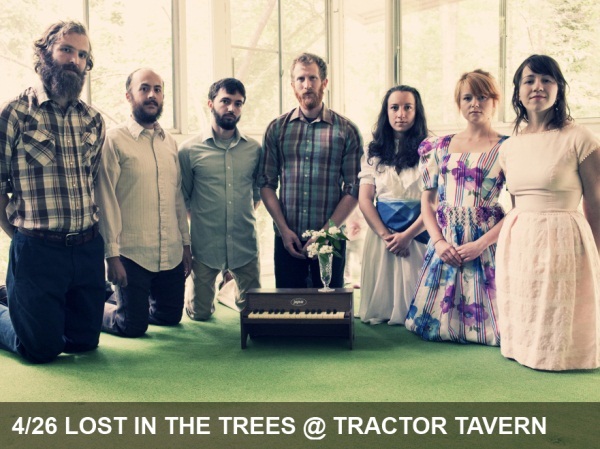 If you’re feeling a little familyed out after your Easter egg hunts and suburban ham dinners, an intimate show at one of Seattle’s finest (albeit smallest) popular venues for a proper evening of drinks and music would get you back in the swing of city life. 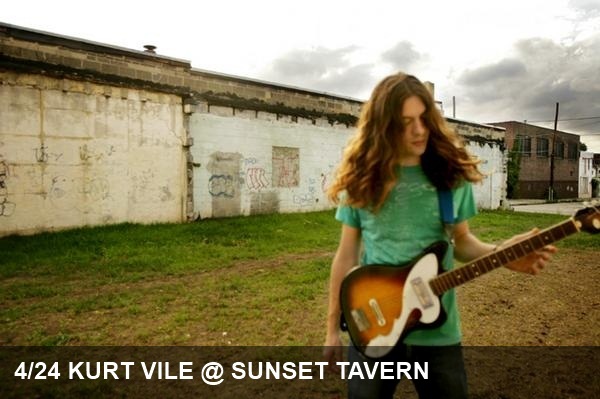 Tonight, Kurt Vile with all of his distorted, echo-y goodness will be performing with The Violators at the Sunset. Not surprisingly, the show is already sold out, however if you were lucky enough to score tickets, you’ll be in for a fun evening of lo-fi roots rock. 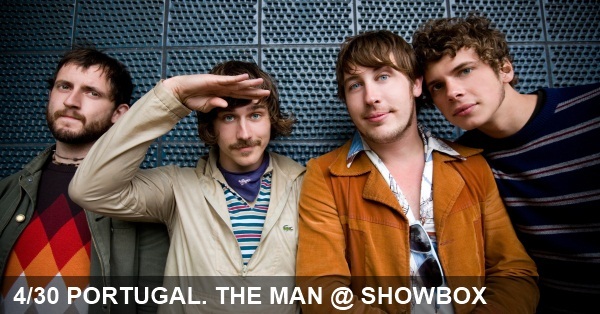 The Philly frontman, known for his long hair and easy laughter, will be joined by EMA for an excellent lineup. Like many a Friday night around these parts, there are more great musical options than one human could possibly take in. While you are quite likely to see at any of Seattle’s venues tonight the following are our the crème de le crème in our book. Also, one happens to be sold out, so that should make the choice a bit easier if you don’t already have your way in. For the past 10+ years, John Vanderslice has become known to fans and his peers alike by three characteristics. Most relevant for the purpose of this preview, he’s an accomplished musician whose tender vocals and experimental tendencies offer a unique take on intelligent indie rock. Second, he’s a renowned producer who toils away at his all-analogue recording studio in San Fran that goes by the name of Tiny Telephone. Having produced the best albums from Spoon, Death Cab for Cutie, The Mountain Goats and our personal favorites, Beulah, among many others, Vanderslice has been at the helm for the upper echelon of indie musicians. Finally, John Vanderslice has the reputation as being the nicest guy in indie rock. Our first interaction with Vanderslice was during Beulah’s farewell tour when his affability spread through the room like a warm breeze. Vanderslice is the rare artist who genuinely seems even more interested in those around him than in himself. We’d put Nada Surf’s Matthew Caws in roughly a similar category. We imagine Barsuk needs at least two gents to balance John Roderick. We kid, we kid. We’re Roderick fans as well. 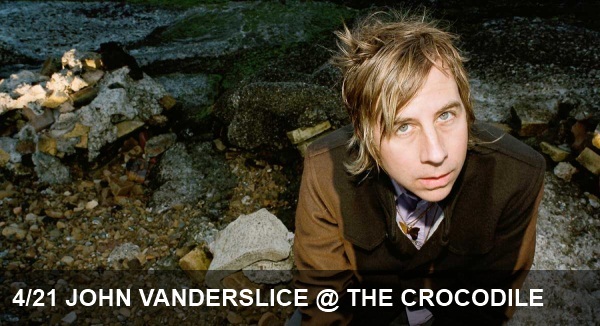 Head to The Croc tonight to see JV for yourself. You’ll be glad you did. We’ll be the first to admit it: we love Donald Glover. From his role as Troy on Community to his stand up (which we were lucky to experience last year at Bumbershoot), we just think the guy is great. 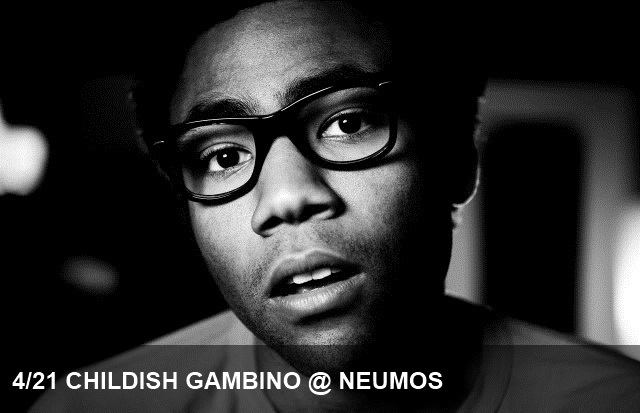 And in case you haven’t heard, Glover is in town with another one of his projects that we love: Childish Gambino. It isn’t widely known that Glover is not only a talented actor and comedian, but he’s also a talented rapper as well. At first blush, his music isn’t anything you’d want your mother to hear you listening to. His songs are sprinkled with F-bombs and derogatory slang, which are things we don’t usually flock to here at SEA live MUSIC. But Chicago’s Gowhere surmises that these are “either shock value or comedic value,” which we think is spot on. All cursing and joking aside, Glover actually deals with some fairly intimate themes in his songs (especially in “Difference,” the first song off his album Culdesac). Plus he uses some great samples throughout. Head to Neumos tonight to see Glover in action. And make sure you leave your mom at home. 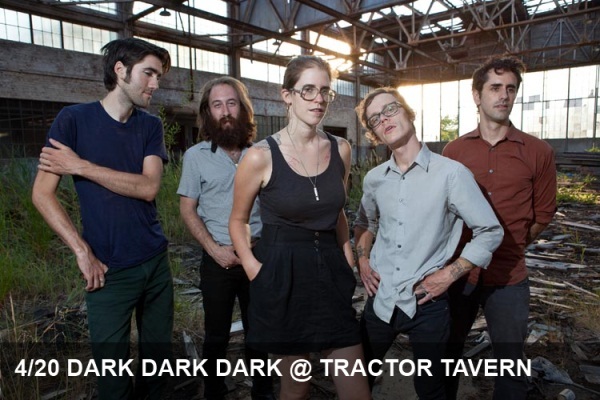 With a vocal style that’s somewhat akin to Alessandra Rose of Seattle’s now-defunct The Kindness Kind, tonight’s Tractor Tavern headliner Dark Dark Dark sounds pleasantly familiar even though we’d just heard them for the first time this week. Where The Kindness Kind relied on keyboards and dynamic guitars, Dark Dark Dark features piano on top of rich strings and light rock instrumentation. As huge fans of orchestral pop, this sound hits our ears just as pleasantly as anything else we’ve enjoyed this month. Head over to Ballard tonight to take in the live experience for yourself.